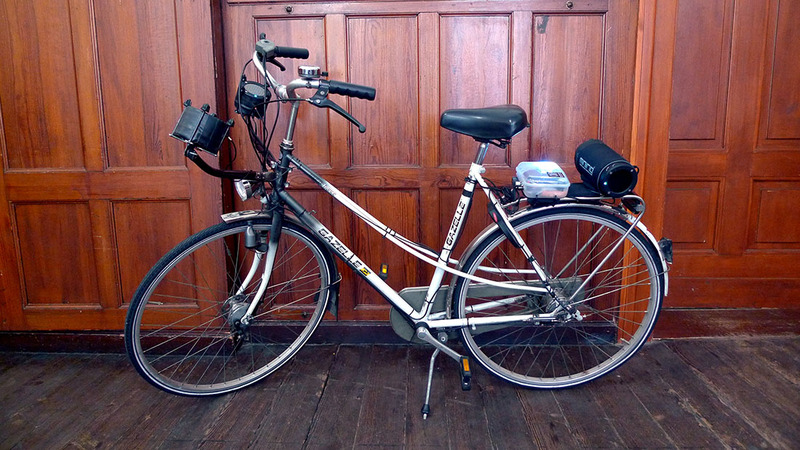 She used this opportunity to go teach bicrophonics and develop bike interaction with students, designing the new sensory bike Berlin along the way. 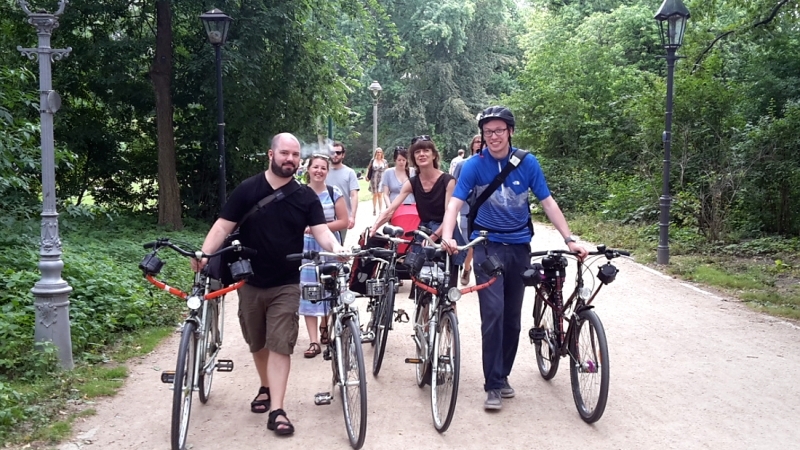 SoundCycleGarden, pieces for bikes and plants, was a weekend of sonic cycling that showcased the students work and the new sensory bike berlin on 16 July in the Tiergarten. Technische Universität Berlin, Fakultät I Geisteswissenschaften, Institut für Sprache und Kommunikation, Einsteinufer 17c, Sekr. EN 8, 10587 Berlin. Weekly lectures introducing the theory of bicrophonics: Air as medium, psychogeography, aural architecture, sonification & multichannel practices. MORE. 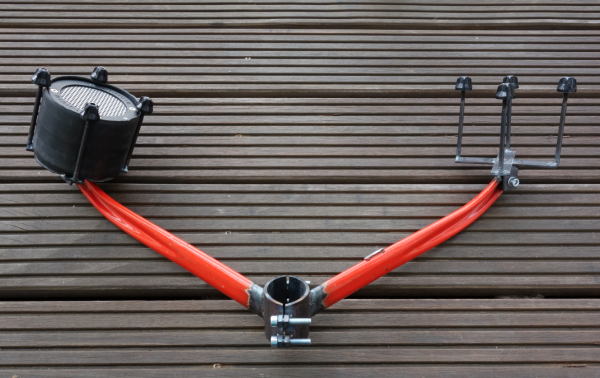 New speaker bar design: Together with Christophe Vaillant from the Berliner Lastenrad-Netzwerk we have come up with this new design for the sonic bikes in Berlin. 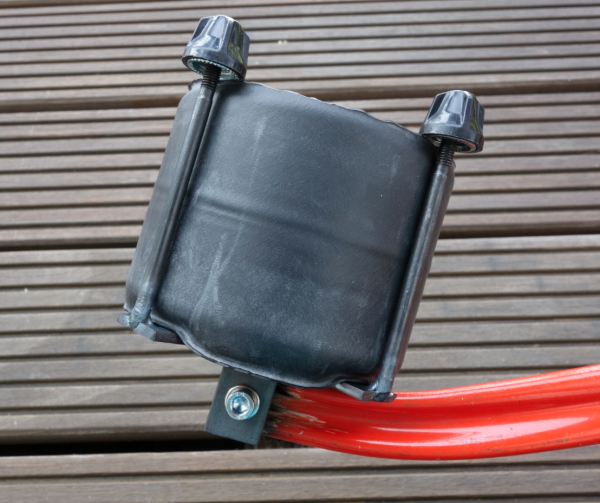 The small minirig speakers are fixed in inner tube holders on an adjustable metal frame – made entirely from recycled bike parts. Weekly sessions teaching, facilitating and inspiring students in the practical making of bicrophonic works: hardware, software, Pd, mapping & bike as instrument. MORE. In practical labs with Kaffe, Sukander and TU students, the ‘Hall effect’ sensor is here created through four magnets on spokes to one magnet on frame making pulse affected by speed of spin. MORE. Careful positioning of two magnets on either side of the bike front stem and stiffened break cables produce surprisingly sensitive results. Next is to tune the range to actual riding, then work the sound sources. MORE. 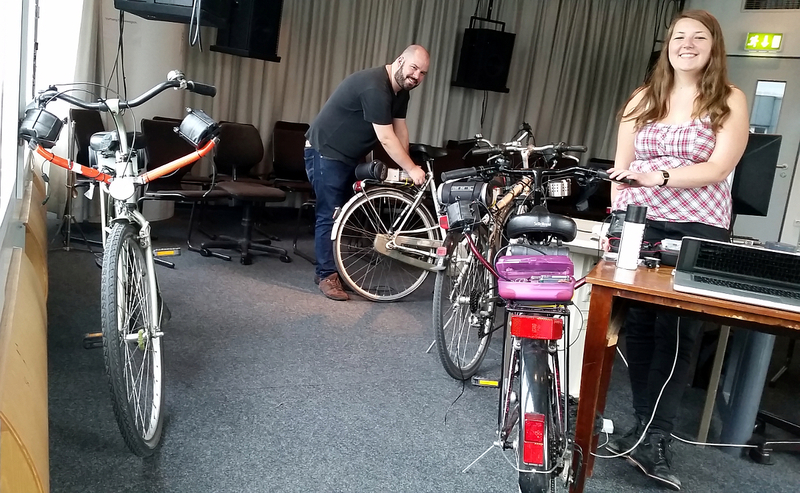 A Bicrophonic presentation, demonstration and 4 new sensory bikes available to ride on Monday 18th July 18.15h in the MediaLab @ TU by Kaffe and the students. DETAILS. 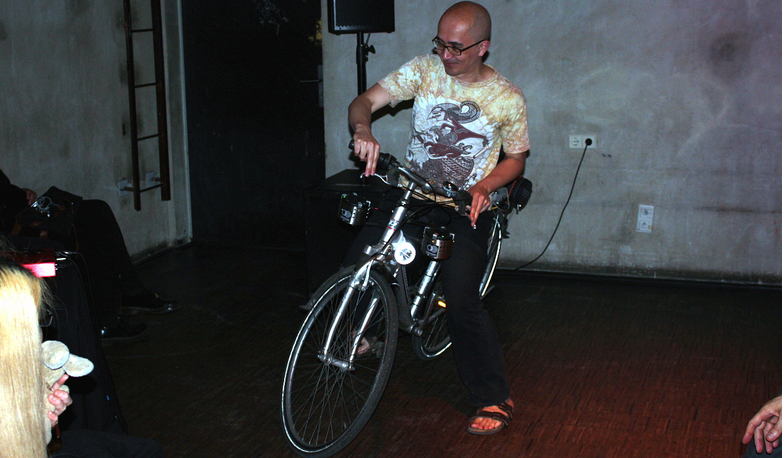 An evening of “Bicrophonic Discoveries Berlin” on 30 June, 7.30pm@ Ausland. Kaffe shared the latest research from her professorship at TU Berlin with Sukandar and the TU students. DETAILS. Read more on Kaffe’s Blog.